Board the Galaxy in San Cristobal and set sail for your 5-day all-inclusive cruise around the southern islands of the Galapagos. Become acquainted with the local wildlife as you snorkel alongside playful sea lions and through schools of colorful fish. Send a postcard back home from Post Office Bay on Floreana Island. 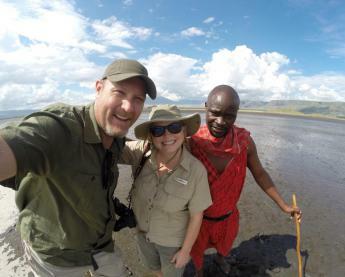 Lastly, enjoy a trip to the Charles Darwin Research Station and learn about the natural history of the islands and the tortoise breeding project. 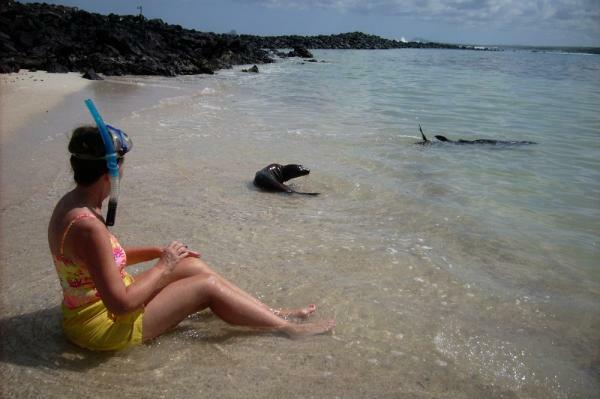 Enjoy frequent wildlife encounters and snorkeling opportunities on this Galapagos cruise! Arrive at the airport and transfer to the Galaxy for your Galapagos Cruise. 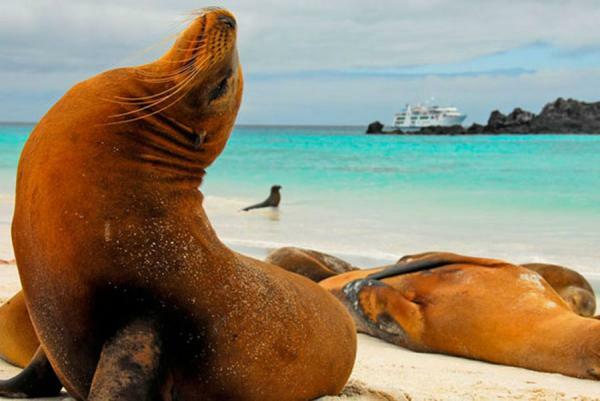 In the afternoon, sail for Isla Lobos (Sea Lion Island) to view the sea lions which rest on the island's rocky shore. Isla Lobos is frequented with blue-footed boobies, great frigatebirds, brown pelicans, lava gulls, common noddies, yellow warblers and small and medium ground finches, making it an ideal location for birders. 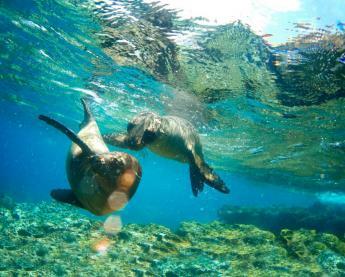 Snorkel near Leon Dormido, in the clear water and play with the sea lions in the shallows. Journey to Gardner Bay, to snorkel with a variety of fish and playful sea lions. Hope to see the occasional turtle or shark which swim in the waters off the island. 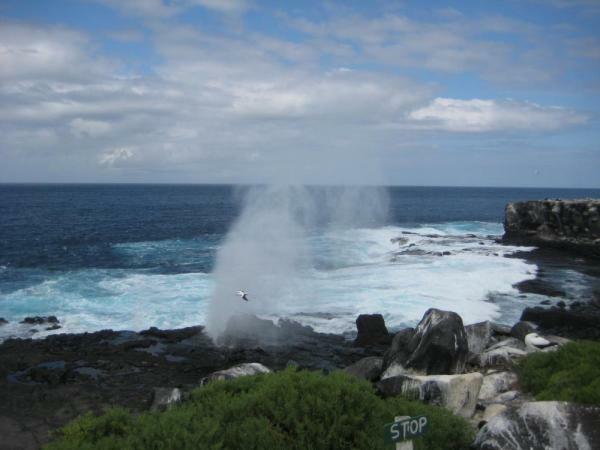 In the afternoon, travel to Suarez Point one of the most significantly birdlife rich locations in the Galapagos archipelago. Around twelve thousand breading pairs have their nests in the Española Island. 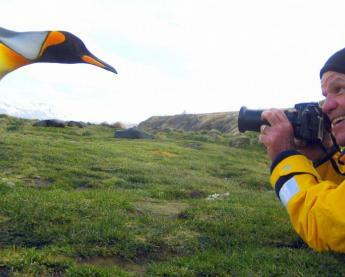 Depending on the time of year you might catch the Blue-Footed Boobies and the Waved Albatross doing their extensive mating dances. 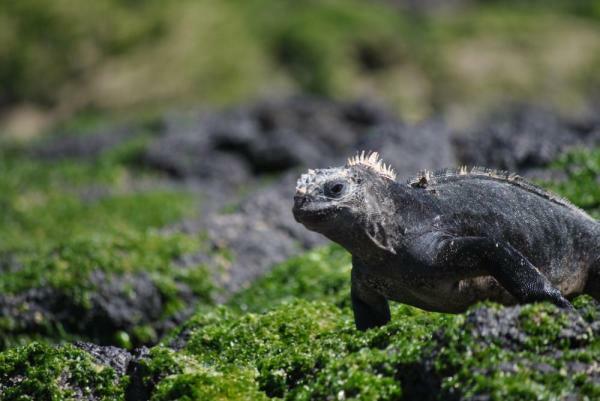 Also view marine iguanas and over-sized lava lizards as they sun themselves on the rocks. Sail for Post Office Bay, a sandy beach where past whalers used to leave and receive their letters in a barrel. Take part in the tradition by leaving an addressed postcard in the barrel. Additionally, pick up any letters within close proximity to your home to deliver once you return from the Galapagos. Visit Punta Cormorant located to the west of Floreana Island. It has a unqiuely famous dark green beach due to the great quantity of olivine crystals. Then take a panga ride around Devils's Crown, a satellite islet of the island Floreana where constant sea erosion has formed the rocks into the shape of a crown. This is one of the better places to go snorkeling. 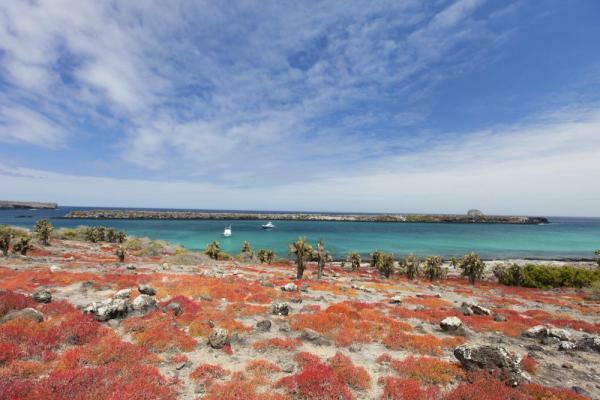 Arrive at Santa Fe to view the Opuntia cactus forest, the largest of its kind in the archipelago. It is home of one of the two species of land iguanas in the Galapagos islands. Crabs, nocturnal herons, marine iguanas, and land doves are often seen. The gorgeous turquoise bay is an excellent place to swim and go snorkeling with sea turtles, rays, sea lions and tropical fishes. In South Plaza, there are two small islands with one of the largest populations of land iguanas in the Galapagos islands. Take a cliff-side trail which circumnavigates the island for spectacular views and varied vegetation. Visit the Charles Darwin Research Station to learn about the natural history of the islands and the effects of human involvement. See the tortoise breeding and rearing project at work. In the afternoon, transfer to the Baltra airport to connect with your flights back to the mainland. The Galaxy is a brand new 16 passenger motor yacht that cruises the Galapagos Islands. This yacht boasts beautiful woodwork, air conditioning and spacious cabins featuring exceptionally flexible cruises of 4, 6, 8, 10, 11 and 15-day itineraries touring the best of Galapagos. Comfortable cabins with lower beds and port hole windows. Cabins have private bathrooms with hot/cold water and air conditioning. Comfortable cabins with lower beds and large windows. Cabins have private bathrooms with hot/cold water and air conditioning. 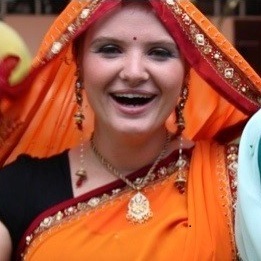 Initial deposit is 35% ($400 minimum), and most travelers will call our office and pay the deposit with a credit card. Alternatively, you can register online here. Final payment is due 70 (10 weeks) prior to departure by bank transfer, check or credit card. All final payments by credit card may be subject to a surcharge and maximum of $20,000 charge.